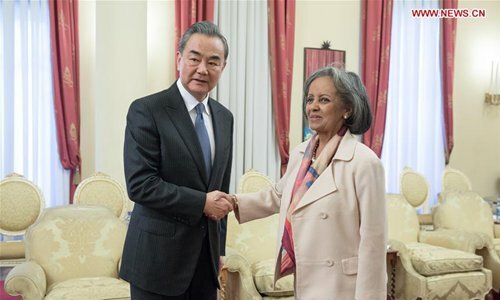 Ethiopian President Sahle-Work Zewde met with Chinese State Councilor and Foreign Minister Wang Yi here on Thursday, with both sides highlighting the importance of further strengthening bilateral ties. The president also affirmed Ethiopia's readiness to continue to actively support and participate in cooperation under the Belt and Road Initiative. Wang said he believes that the Ethiopian government and people have the wisdom to explore a development path which is effective and is in line with Ethiopia's conditions.